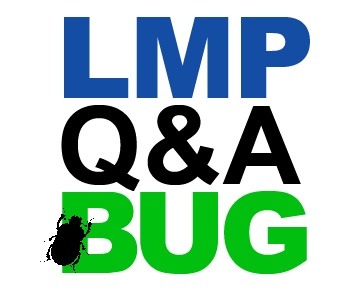 This week the Q&A BUG paid a visit to Toronto General Hospital’s Diagnostic Test Centre and ‘infected’ Marie Casimir, Medical Laboratory Technician, Specimen Management . The nomination came from our previous Q&A BUG ‘victim,’ Allison Ming-Freckleton. You can check out Allison’s photo Q&A HERE. As a laboratory technician in Specimen Management, Marie Casimir is one of the few members of LMP that works directly with patients on a regular basis. She’ll sometimes work with hundreds of patients over the course of a week when scheduled in inpatient areas, or outpatient blood labs. The inpatient areas are where Marie and other laboratory technicians go directly to patients to draw blood, but in the outpatient blood labs patients come in for whatever the treating clinician ordered. She will perform ECG (electrocardiogram) tests, acquire specimen samples, and of course draw blood. The next stage for acquired samples is generally the core lab for testing, where Marie also works from time-to-time. Here she will sort different samples from different sites and ensure they get directed to the right place for timely results. To learn more about Marie, check out her photo Q&A below! If you had to describe working with LMP in one word, what would it be? Because Marie completed the photo series Q&A she was given the opportunity to pass the bug onto someone else… Make sure to check in next week to find out which LMP staff member Marie nominated – It could be you! Have a common interest with Marie? – Share it in the comments section! That Stevie Wonder is an awesome first concert! How you could go for some pan fried snapper for dinner. That you wouldn’t mess with Marie if she was working Security. That the Blue Jays season starts this Sunday… Don’t miss it!